Foldup! 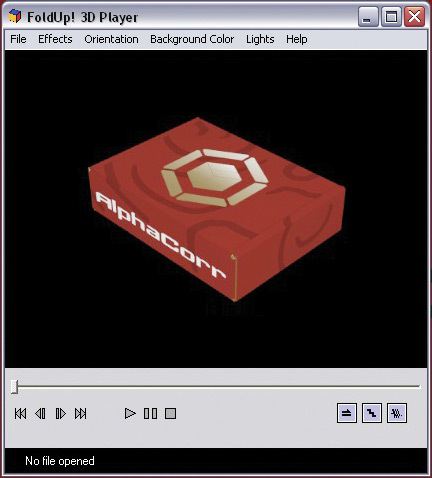 3D does not support the latest versions of Adobe Illustrator (CS6, CC, CC 2014) and has been replaced by AlphaCorr’s own Folding Genius 3D. FoldUp! 3D creates a 3D image based on your Illustrator artwork and the cut or fold lines. Those lines can easily be imported from a box design done in AlphaCorr™ Rules™ packaging and point-of-purchase design software. It’s a perfect plug-in for visualizing packaging projects, dimensional mailers, or any other folding paper design. and the cut or fold lines in FoldUp! 3D. FoldUp! 3D is known for its ease of use among packaging and point-of-purchase design professionals and first time users alike. The new position palette lets you save various views of your image using different positions, zoom levels, rotations or steps within the folding process. One design can support a number of standard positions used for print, web, or special promotions. The new FoldUP! 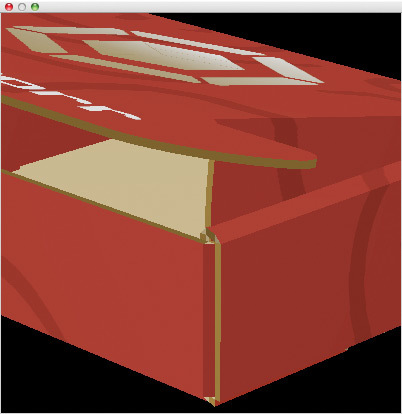 3D Viewer lets your associates examine your packaging and point-of-purchase display design fully in 3D. Two versions are available: one standalone and the other as a plug-in for Illustrator. your packaging and display designs in 3D. FoldUp! 3D allows easy previewing of A flute, B flute and AB flute with the new Thickness function. By simulating the paper type or paper thickness an illusion of proximity is created. Input a numeric paper thickness or select a flute to preview. and thickness for an illusion of proximity. FoldUp! 3D is great for any flat print design not intended to be seen on a flat page. 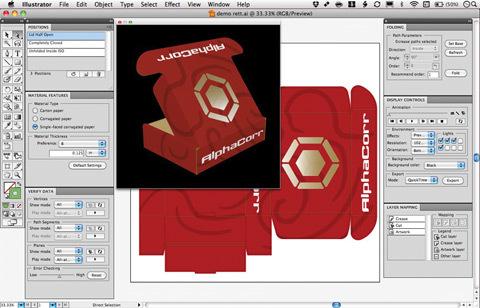 Die cut designs, 3D trade show and point-of-purchase displays, and greeting cards can all be mocked up and proofed directly in Adobe Illustrator. With more export features to share your design, FoldUp! 3D exports to web, print, as a QuickTime movie, or as a model file. 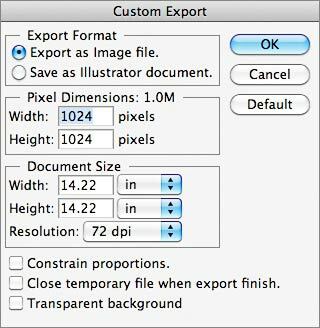 Custom settings give you control of display and file size for the desired resolution. and file size for the desired resolution. FoldUp! 3D supports both Mac and Windows platforms, including Mac OS OS X, Windows 7, Vista or XP.